When we set out to design a new ’cross rig, we didn’t just want to make another adventure bike with added tire clearance—we knew we had to create a purebred racing steed that was fast, confident, lightweight, and rides like no other ’cross bike out there. And sure, with multiple Cyclocross World Championships to its name, the CruX has more than proven itself in ’cross, but we’re proud to say that this S-Works CruX takes the legacy to a whole different level. 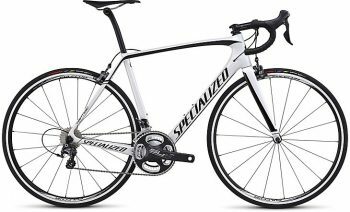 The S-Works CruX is also spec’d with the lightest components possible. 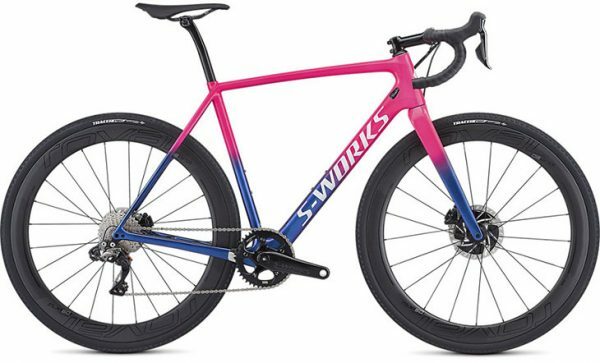 Along these lines, it features a 1x groupset with a mix of Shimano’s Dura-Ace and XTR components, lightweight, aerodynamic, and mud-shedding Roval CLX 50 clincher disc wheels, and an S-Works carbon seatpost and handlebars. Our top-of-the-line S-Works FACT 11r carbon frame features our Rider-First Engineered™ design, a race-ready ’cross geometry, and comes equipped with thru-axles, 142mm rear spacing, and takes advantage of our highest quality carbon production methods in order to create a bike that’s as responsive as it is lightweight. Cross courses are notorious for being cold, muddy, and rainy—and when you can barely feel your fingers, or your rims are so full of mud that slowing down is only a pipe dream, you’ll be happy that the S-Works CruX comes spec’d with Shimano Dura-Ace Di2 shifters and powerful hydraulic disc brakes.